Loberg Construction was selected as the Design-Build Contractor to transform the existing three-story, 81,000 square-foot building on eight acres into a modern office environment. On the interior, we completely upgraded the first-floor common areas to include the lobby, corridors, and public restrooms. 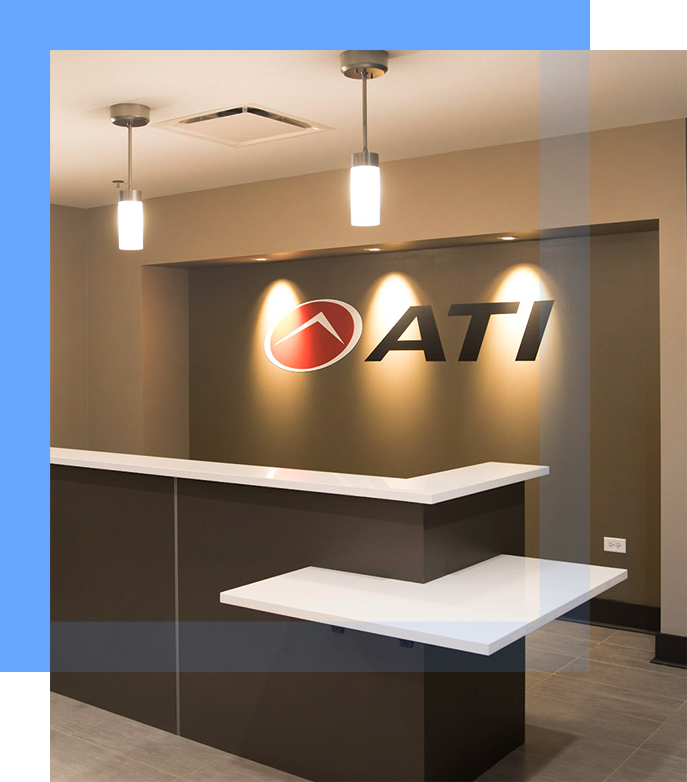 Loberg also built out 27,000 square feet of corporate offices and a call center for ATI Physical Therapy on the first floor. Additionally, the project included building the headquarters of S&S Activewear, an apparel wholesaler, spanning the entire third floor. Loberg Construction managed the Proteus Group architects on the base building upgrades. We worked with DXU Architects on the first-floor call center build-out and are working with them on the S&S Activewear project. We also made extensive improvements to the landscaping, parking lot, and street entrance, designed by Watermark Engineering Resources, LTD.
During the accelerated nine-month schedule, this all-union project employed about 50 tradesmen and women and involved 28 subcontractors.